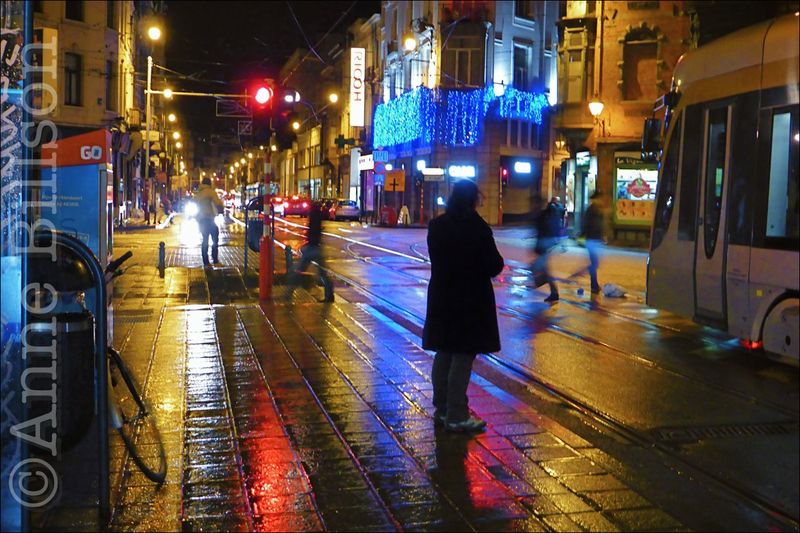 Nacht reflecties: Charleroise Steenweg, Sint-Gillis. Thank you! Sometimes I get bored waiting for the tram, and start taking photos just to pass the time.